In 1986, the Kennedy Center honored Lucille Ball with a Lifetime Achievement Award for her prolific career. But nobody could have imagined that 27 years later, the comments section of the YouTube video of that night would turn into a forum for debate over topics ranging from feminism to the psychic abilities of mimes. Now, making its world premiere, those comments are brought to life on stage in this bizarre new comedy. ADRIAN JEVICKI (Video Projections Designer) is a Brooklyn-based choreographer, theater artist, video designer and educator. Descending from a long line of teachers, his work centers on the relationship between people and their consumption, creation, channeling and processing of information. He has worked with such diverse experimental dance, theater and visual artsits as: Collision Theory, (in)Parentheses Theater Company, Jill Samuels, Erica Fae, Elke Rindfliesch, Glass Contraption, Rachel Cohen (RaCoCo Productions), Olek, Matthew Mahler, Gabriel Forestieri and internationally with the KyoRyuKan, a theater collective that creates original works mixing puppetry and dance-theater based in Kyoto, Japan. He has performed/presented work at bars, clubs, theaters and other locales throughout New York including: Touch, HATCH, Dixon Place, BAX, Spoke the Hub, Triskelion Arts, The Tank, The Brick, Irondale Center, Mary Anthony Dance Theater, 59E59, DUMBO, Central Park, American Theater of Actors, Movement Research, Hudson River Park, Galapagos, RoverSOHO and nationally at the University of Chicago and High Concept Laboratories also in Chicago. Some evening length works include: Ivory Tower (2007), GrindFaust (2008), La Spectra (2009/2010), WILM 690 Pirate Radio (2009), The DEEP (2011/2012). He is a graduate of Brown University. BRETT ARESCO is a New York-based actor, writer, and comedian. New York Theater: The Flea, Ars Nova, Rising Phoenix Rep, The Cell, The Brick, The Lark. Regional: Eugene O’Neill Theater Center, Westport Country Playhouse. Television: Man v. Food, Scorned: Crimes of Passion. B.A. Duke University. www.brettaresco.com. JUSTIN PERKINS is a puppeteer and actor who has appeared in works by Dan Hurlin, David Neumann, Patti Bradshaw and others, and for Puppet Cinema [puppetcinema.com], The Swedish Cottage Marionette Theatre, Cosmic Bicycle, imnotlost, and American Centaur [americancentaur.com], of which he is a founding member. He is also a teacher of puppetry, film and acting to children and teens, with degrees in theater from Vassar and Sarah Lawrence. STEPHANIE WILLING is an actor/dancer/writer, and she is pleased as punch to perform in the debut of Nicholas Colia's theater company alongside an amazing ensemble. Upcoming shows: The Strategist at The Brick and The Fairies with Firebone Theatre. Big thanks to Ali and love to MT. MARIA PAZ ALEGRE is very excited to be a part of such interesting new multimedia work, and thrilled to be working with so many of her colleagues from the Intensive Ensemble of LAByrinth Theatre Company. She has written and performed in New York for seven years, as well as all across the United States and in the Philippines. BFA Emerson College. COHLIE BROCATO (SAG-Aftra, A.E.A.) misses what you had together. Those days drift like clouds over Cohlie Brocato's days, bathing him in the silken shadow of memory. Cohlie Brocato often finds himself standing at his window, his hands mindlessly clutching his bare shoulders as if embracing your absence. Once, the idle stroke of your fingertips masterfully plucked the strings of Cohlie Brocato's heart; now he sits like a forgotten cello, a sentinel holding vigil over the passion you have forsaken. Also, he graduated from Sarah Lawrence College where he was in a slew of fun shows. He is the Creative Director of Ticking Clock Productions, a film production company that you really should look up. He recently played Lee Harvey Oswald in the foreign romantic comedy Mieletön Elokuu, a.k.a. August Fools. You could also see him in Frances Ha. RACHEL GREENHOE is an actress, writer and shameless self promoter, living in Brooklyn. She'd like to thank everyone. Even you. Thank you. 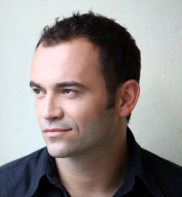 IVICA MARC was born and raised in Croatia where he was a theater actor and a TV personality. He chose to live in the jungle of New York for the last five years. 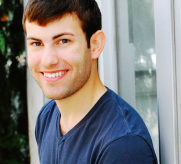 He is currently studying at the Maggie Flanagan studio of acting and having a blast. ANDREW RINCON writes and acts sometimes. He recently graduated from Florida State University where he was seen as Borachio in Much Ado about Nothing, and where he staged his original work, Friends in Equilateral. Mad love to Ali, Nick and Lucille Ball. CHARLOTTE WOLF is a singer, dancer and actress living in NYC. She has appeared on Nickelodeon's show, "Victorious." She is currently in 8th grade at Robert F. Wagner Middle School, where she is rehearsing for the schools production of The Music Man. Charlotte is very excited to be a part of the show!